So you’ve done it. You have taken the plunge and chopped your hair into a lob—now what? Well, that’s exactly what I was thinking. Never mind that I’ve been rocking this ‘do for the better part of the last year, or the fact that it looked rockin’ when I left the hair dresser; because 12 months on, I was still in desperate need of hot tips for how to master my chic and stylish long bob. Enter: Raw Hair's Anthony Nader. He taught me that volume is my new bestie and that I need to nurture that relationship, at all costs. Who am I to argue? After all, #naderknowsbest. We get Anthony Nader’s pro tips on three ways to style a lob at home (that are easy enough for pretty much anyone to master). On damp hair, liberally spray Oribe Volumista Spray and rake through with a wide toothed comb. 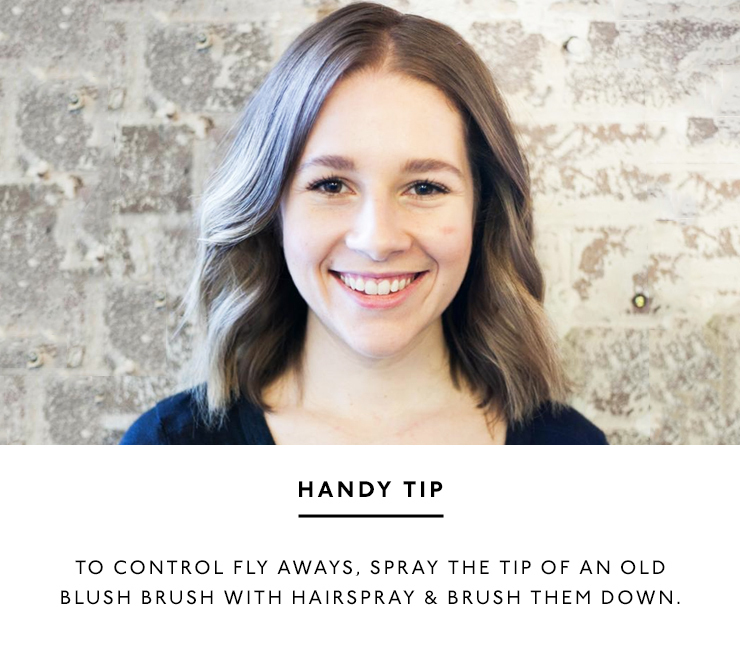 We want to create as much volume as possible (and quickly), so take 2-inch sections starting from your neck line and use a medium-sized brush to blowdry, working your way up to your part line. For extra volume, blowdry your hair in the opposite direction to how it would naturally sit. Use a large round GHD barrel tong starting from the neck line on diagonal sections winding the roots and mid lengths only, leaving the ends poker straight. Brush through the curls to relax those large ringlets, because nobody has time for ringlets. Now, to turbocharge your hair’s texture, use the Dry Texturizing Spray by Oribe all over to “gritty up” the hair. This’ll also help the waves stay in place. Really go to town on this stuff. To ensure you have a silky, smooth (but still full – volume, remember) base, work some R+Co Park Ave Blow Out Balm into your damp hair. Blowdry your hair with a large flat paddle brush then add in your side sweeping part on your favourite side. Starting from your nape, use an extra large triple barrel iron in large sections and repeat until all of your hair is rippled. The large barrel will ensure full and voluminous waves. Brush out the waves to relax the look. To add extra shine, smooth over your hair with the Oribe Supershine Light Moisturising Cream then brush the hair one last time for good measure. Blast your roots and mid lengths with R+Co Death Valley Dry Shampoo to dry up your oily roots. Massage it all in then brush through with a cushion brush from roots to ends. 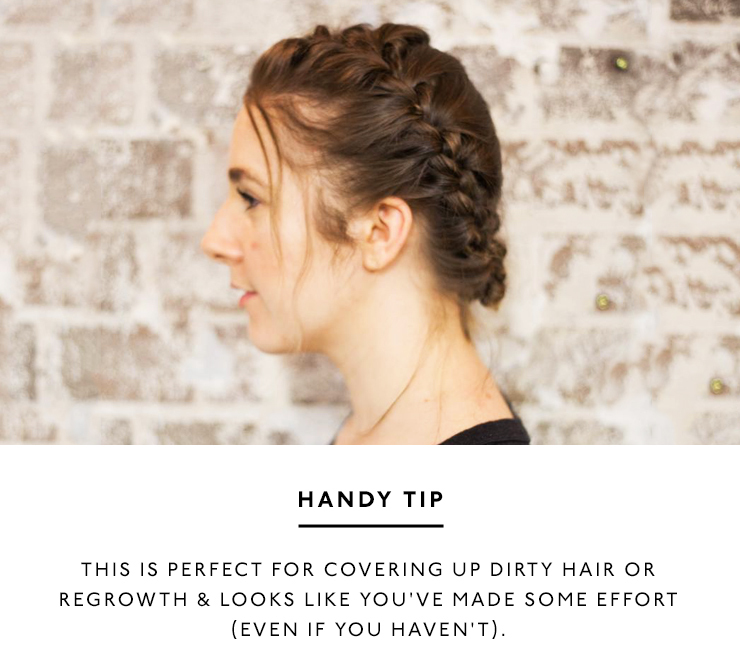 These plaits are meant to look sort of un-done so don’t sweat it if your part is a little haphazard (that’s kind of the point). Just divide your hair in two sections and clip one side away. There are no intricate/detailed/special plaits here. Simply start at the front and plait your way down to your nape and secure with snag free elastics. Repeat on the other side. Loosen up the plaits and braids by pulling them apart slightly. This just relaxes the plaits and makes them look more voluminous—don’t be afraid to stretch out them out here. With the braid tails, loop them into each other and pin in place. Add a final touch of my lightweight hairspray. 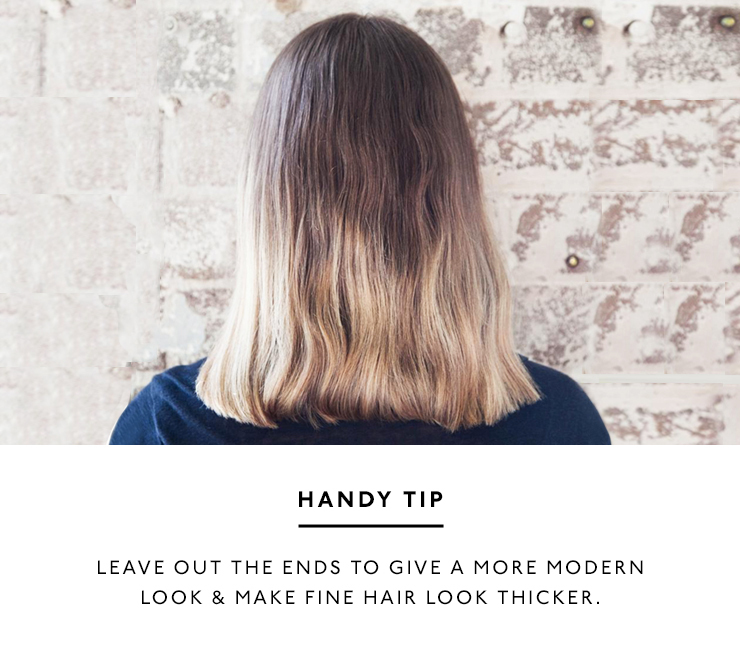 There you have it, three super easy ways to style your own lob. Looking for more hair tips? Here’s how to get a glunge look happening.